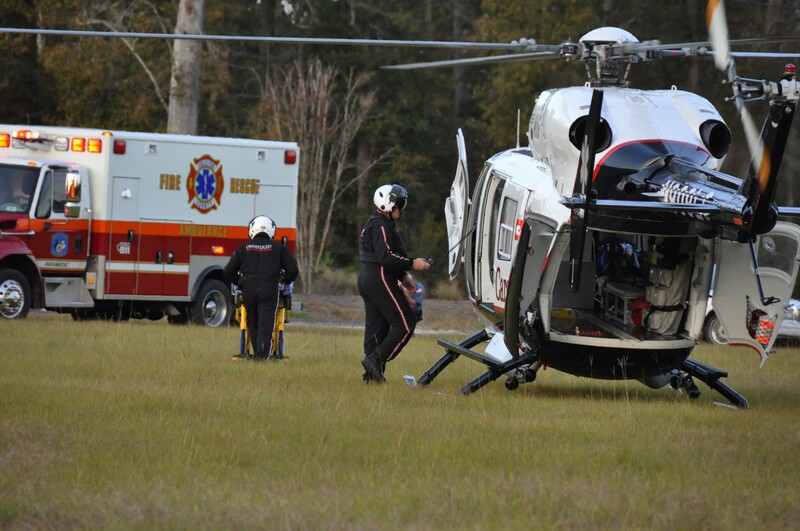 Dorchester County requested mutual aid with a mass casualty incident on I-95 near the 83 mile marker northbound near the Town of Saint George, Tuesday evening 30-November at 1902. The original incident was reported at approximately 1815 to Dorchester County authorities. 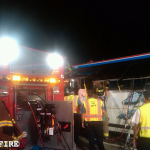 According to reports, a northbound Greyhound Bus collided with the rear of a loaded log truck trapping the bus driver. Click here for more information. Station 5 responded as mutual aid to Dorchester County for a structure fire in a older wooden warehouse, Monday 29-November at 1249. The fire was located on Second Texas Road off of US Highway 15. Tender 5 assisted with the water shuttle, carrying multiple loads of water to supply two Engines flowing deck guns and several handlines. Click here for additional information. 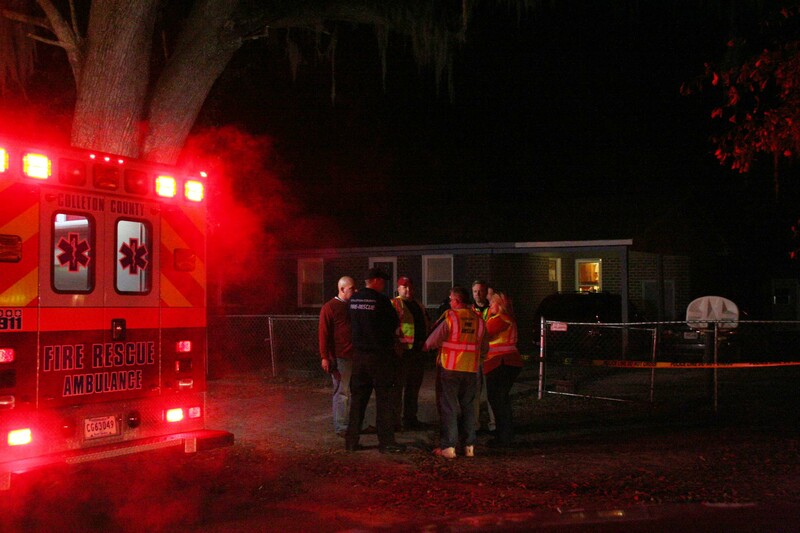 A Walterboro woman was fatally shot in her home Saturday evening. Several Paramedic Units responded to 704 Black Street 27-November at 21:49. 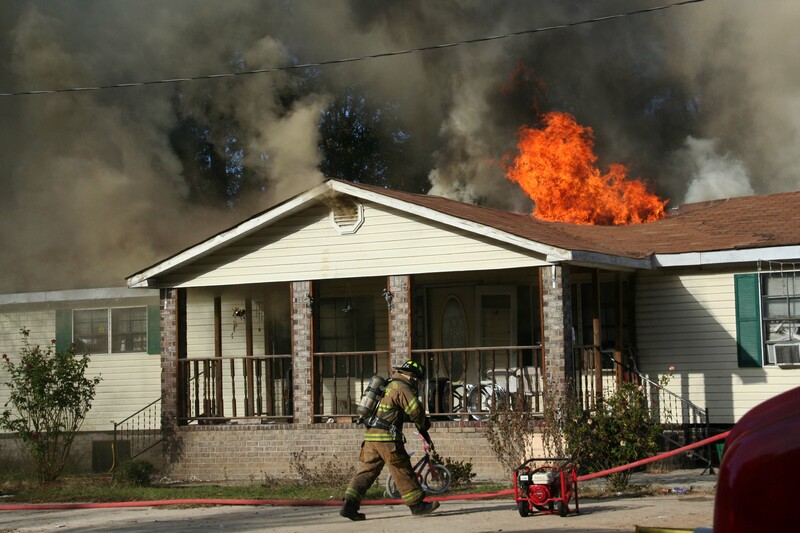 Walterboro Public Safety Officers had already secured the scene prior to Fire-Rescue’s arrival. The victim was found without signs of life and was pronounced at the scene. Click here for additional information. 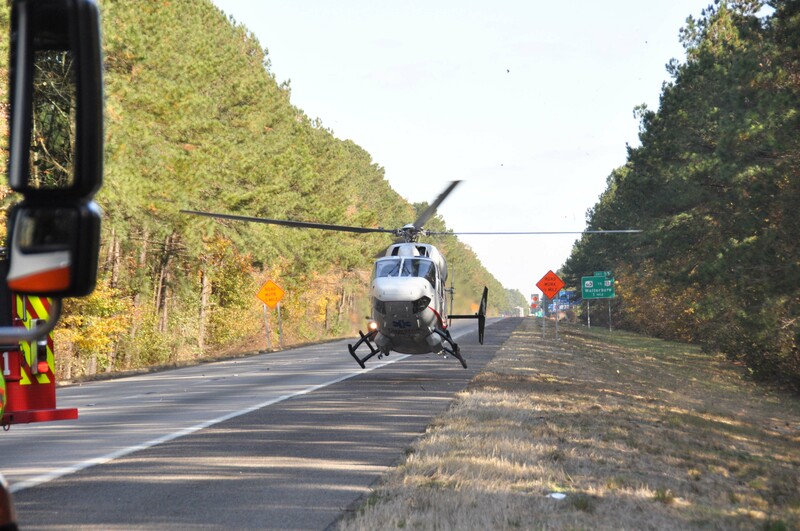 An adult female suffered multiple traumatic injuries in a high speed crash in the 4000 block of Charleston Highway Friday afternoon 26-November at 13:04. The west bound passenger car lost control in a curve, spun around backwards striking a large oak tree on the east bound side of the road. Click here for additional information. Station 1 responded to a shooting incident at 308 Chaplin Street, Friday morning 26-November at 11:11. 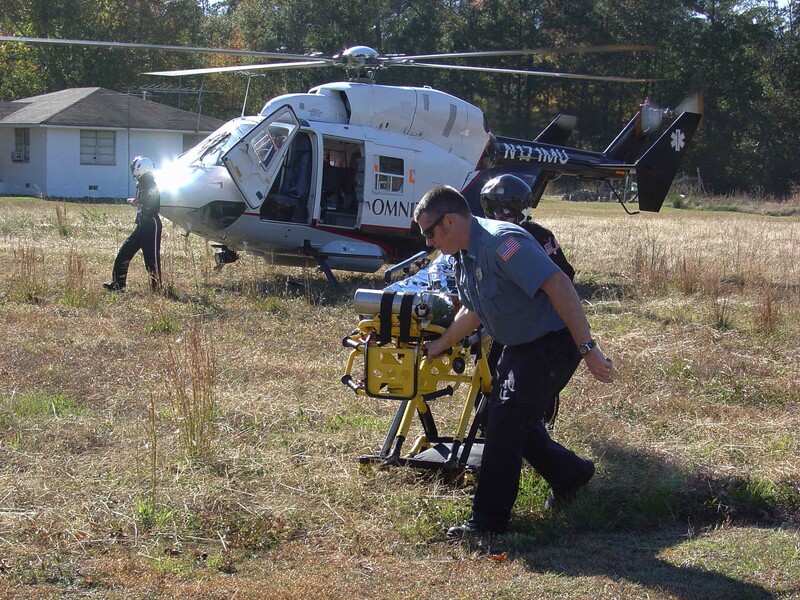 Walterboro Public Safety Officers cleared the scene prior to the arrival of Medic 1 and Battalion 1. A 20 year old male victim was found on the front porch of the residence with two wounds to his leg, possibly from a single gunshot. Click here for additional information. Stations 6, 8 and 25 responded to a life threatening medical emergency in the 2200 block of Whitehall Road Wednesday afternoon 24-November at 15:07. The patient who was in critical condition required specialty care at a Stroke Center. 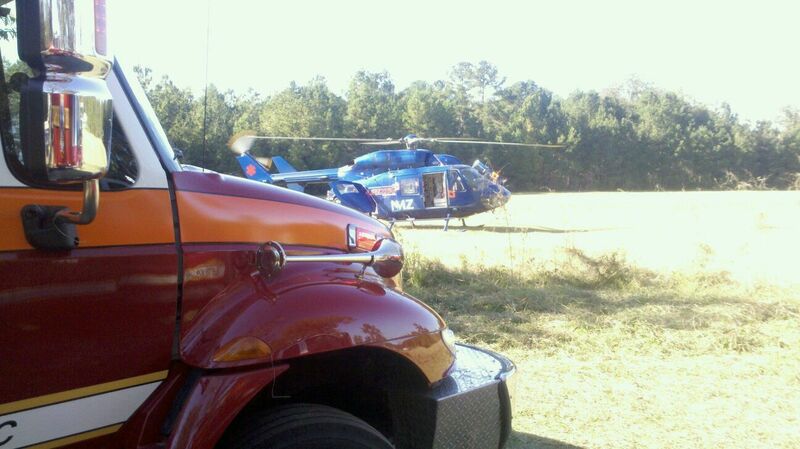 Medic 6 treated the man and requested a medical helicopter to responded. Click here for additional information. Stations 1 and 19 responded to a two vehicle MVC on I-95 at the 52 mile marker northbound at 0921, Monday morning 22-November. A northbound Honda rear ended a northbound minivan causing heavy damage to both vehicles. The minivan was able to stop in the median, while the Honda continued north approximately 1/8 mile before losing control. Click here for additional information. 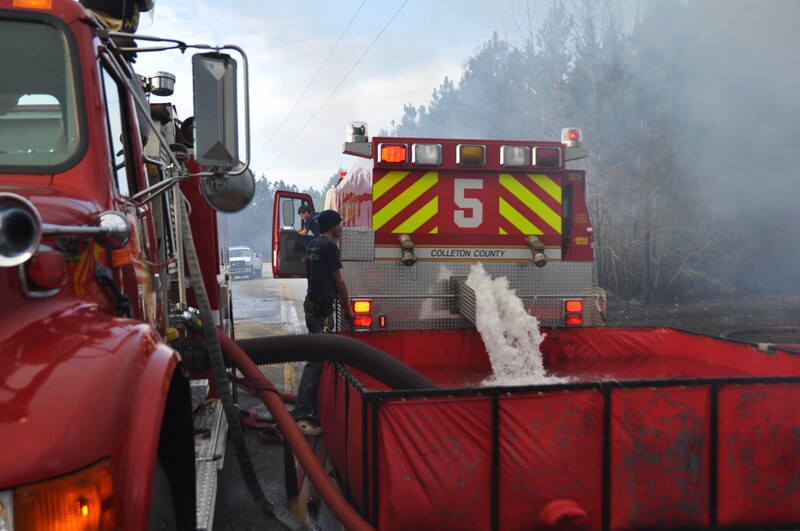 Station # 1 responded to the Colleton Saddle Club located at 1670 Hendersonville Highway Saturday afternoon 20-November at 1557. A horse participating in an event at the facility stumbled and fell. His rider was thrown to the ground and the horse then landed on the man. Witnesses advised the adult animal was on the 55 year old male for about 7 to 10 seconds. Click here for additional information. 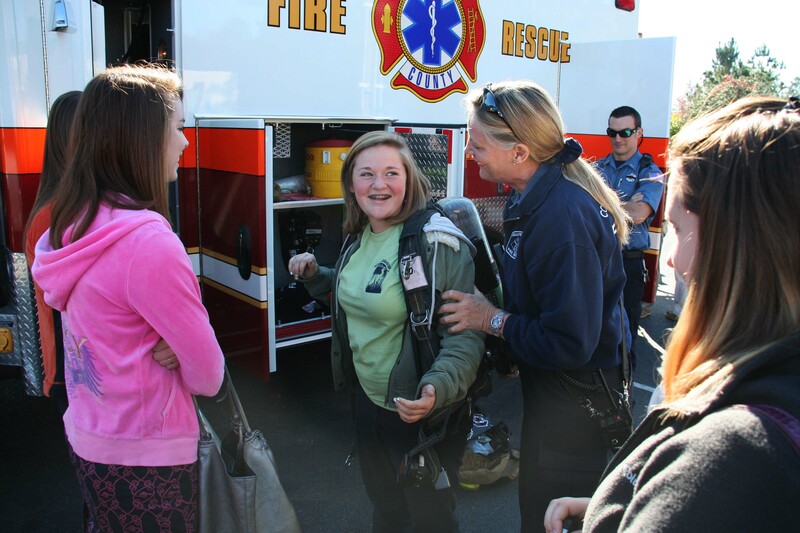 Fire-Rescue was a presenter again this year for the Leadership Colleton classes. The sessions were held at Colleton Medical Center this month. The program exposes adults and youths to different areas of the community and how the various organizations serve those living here. Health care was the focus of this month’s session. Click here for additional information. 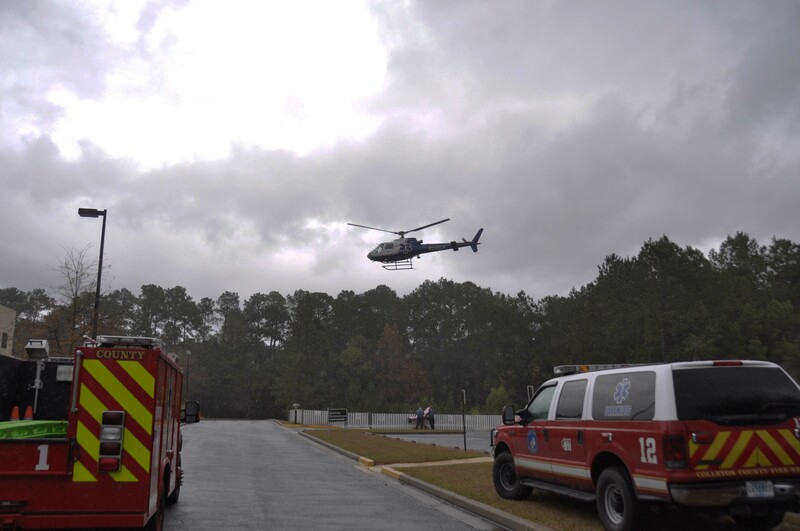 For the second time in less than 20 hours Omniflight-Charleston responded to Colleton County to fly a patient to MUSC’s Trauma Center. In the first incident which occurred Wednesday evening 17-November at 1932, an adult male fell approximately 40 feet from a tree stand in the 200 block of Hobby Lane receiving traumatic injuries in the fall. Click here for additional information. Stations 5, 19 and 26 responded to a structure fire at 1924 Oakman Branch Road at 0135, Wednesday morning 17-November. The family had been experiencing electrical problems in the home, with a breaker tripping multiple times earlier in the evening. 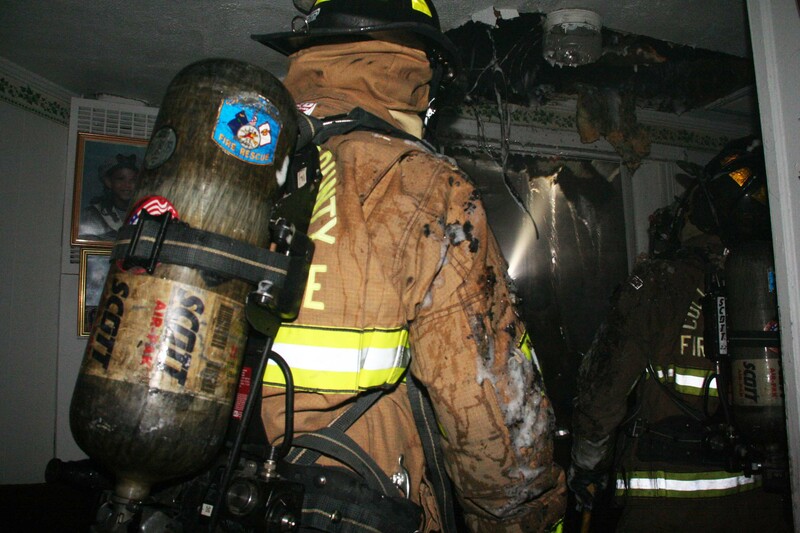 Before going to bed around 0130, one family member noted a smoke smell in the home. Click here for additional information. We have received the following information regarding the funeral services for Columbia-Richland Firefighter Chance Zobel who suffered a line of duty death Saturday 13-November. The funeral will be held on Wednesday 17-November at Shandon Baptist Church located at 5250 Forest Drive in Columbia SC, 29206. The Funeral will start at 1:00 pm. Click here for additional information. A Johnsville Community home was heavily damaged in an early afternoon house fire Saturday afternoon 13-November. At 1437, 9-1-1 Operators received a report of a structure fire at 1377 Community Ave north of the Town of Smoaks. Engine 7 stationed in Smoaks, was enroute to assist Engine 17, Tender 5 and Tender 17 with a large woods fire approximately 1 mile from the scene on Drain Road. Click here for additional information. 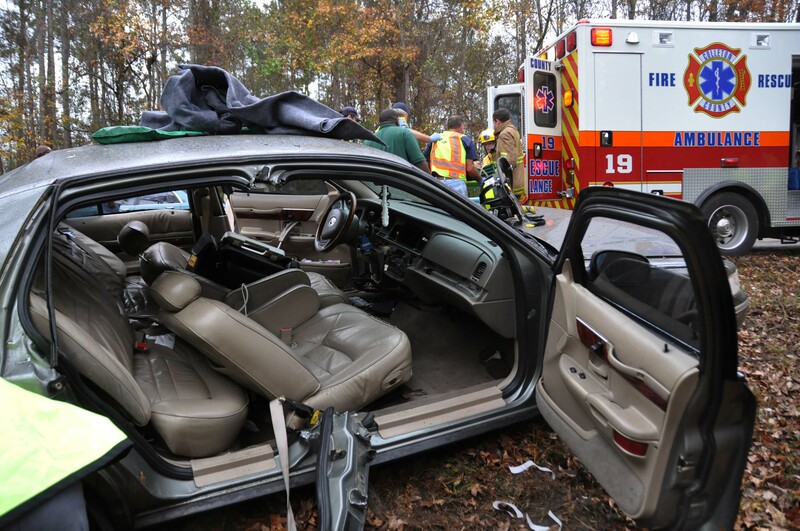 Medic 9 and Engine 19 responded to an injured man at 10215 Sidneys Road Saturday afternoon 13-November at 1320. The adult male was operating a tractor with bush hog when he collided with a tree limb receiving a severe injury to his neck. 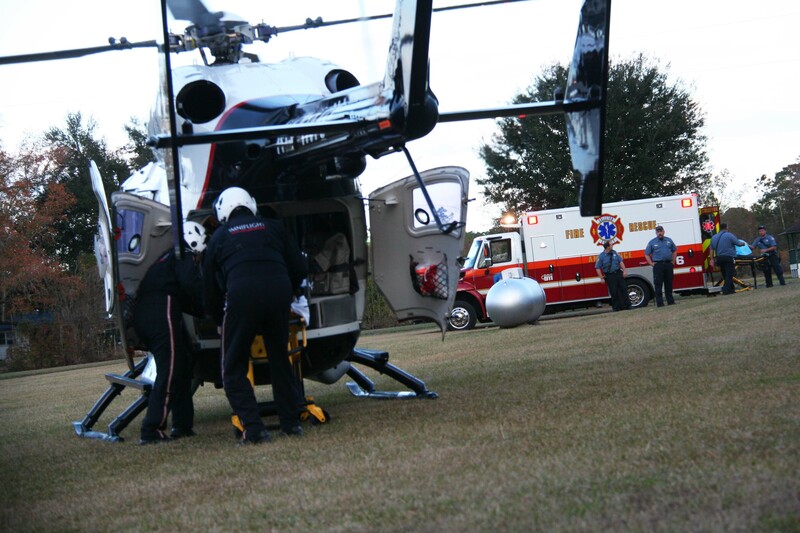 Medic 9’s crew found a large laceration with a piece of the tree limb impaled in the man’s neck. 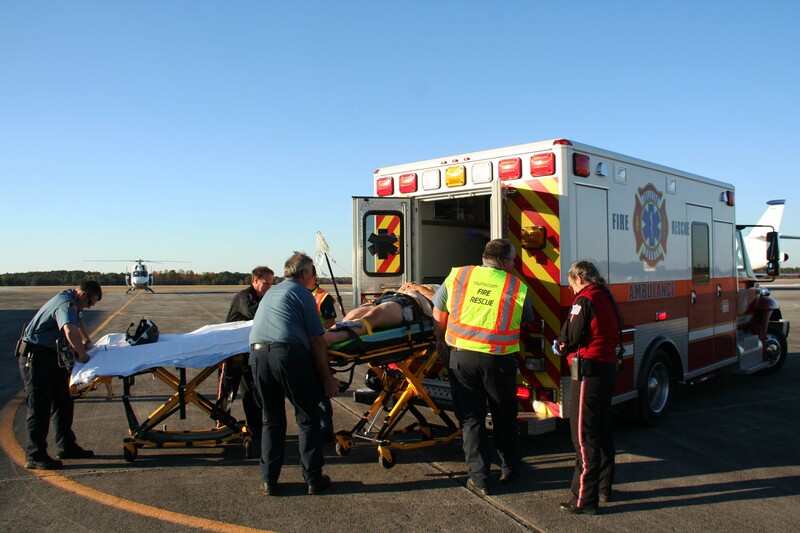 A medical helicopter was requested, while Firefighter-Paramedics stabilized the man. Click here for additional information. 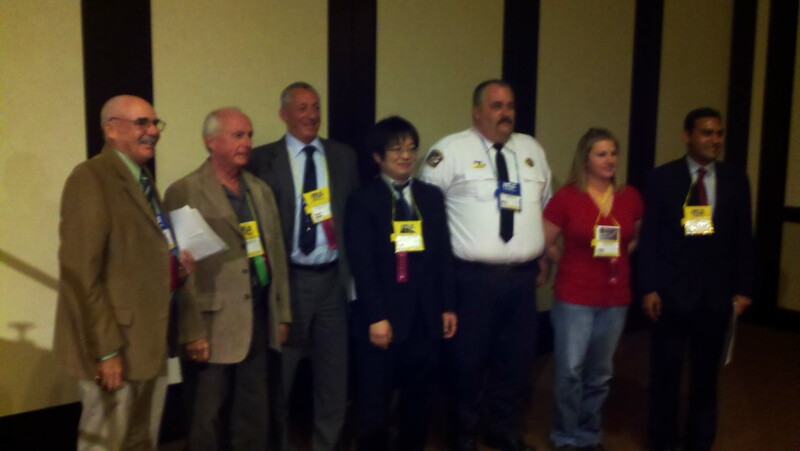 11/11/2010- ITLS "Trauma Case of the Year"
Lieutenant Joseph Campbell and Battalion Chief Ben Heape attended the 2010 International Trauma Life Support Conference in Reno, Nevada on Saturday November 6th 2010. Lieutenant Campbell gave a presentation to an audience of over 200 Doctors, Nurses, Paramedics and other ITLS providers on Colleton County Fire-Rescue’s submission for the first ITLS “Trauma Case of the Year” contest. Click here for more info. Two loaded log trucks collided on Lowcountry Highway (US Hwy 21) south of Ruffin at 1631, Tuesday afternoon 9-November, killing one man and blocking the highway for several hours. Stations 1, 4, 18 and 31 responded to the MVC near the intersection of Hydrick Road. 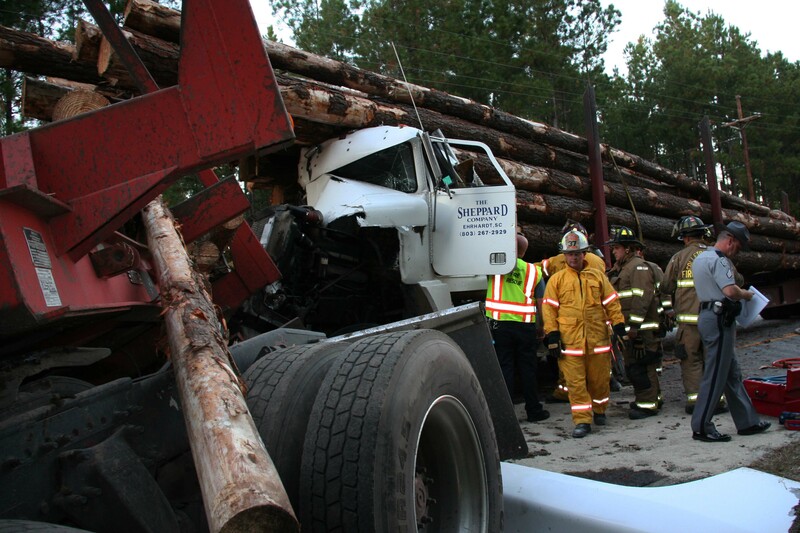 Medic 18 arrived to find one over-turned log trailer and a second truck with heavy damage. Click here for additional information. Stations 6 and 8 responded to a single vehicle moped accident on Hendersonville Highway near Jonesville Ave Tuesday afternoon 9-November at 1344. The driver lost control of the vehicle, crashing at a speed of 40 mph according to a witness. The 76 year old man suffered multiple traumatic injuries with head trauma. Firefighter-Paramedics treated the man at the scene, immobilized him and transported him to a nearby baseball field. Click here for additional information. Stations 5, 9, 19 and 27 responded to a structure fire at 47 Hobbie Lane Sunday evening 7-November at 21:25. 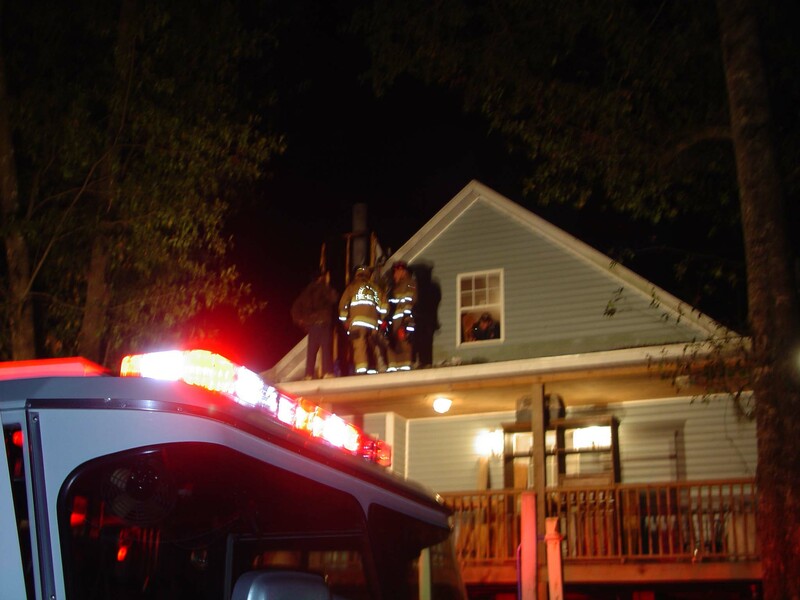 The caller reported a fire on the roof near their chimney. Engine 5 and Tender 19 arrived to find smoke coming from the roof of the three story structure. The home was equipped with an insert type fire place and wooden covering over a metal chimney. The fire was contained to the wooden covering above the roof. Click here for additional information. Stations 2, 9, 11, 19 and 27 responded to a structure fire at 1102 Mistletoe Lane in the Town of Cottageville Friday evening at midnight 5-November. Engine 9 and Medic 9 arrived within minutes, to find fire under the doublewide mobile home on the “C” side of the structure. 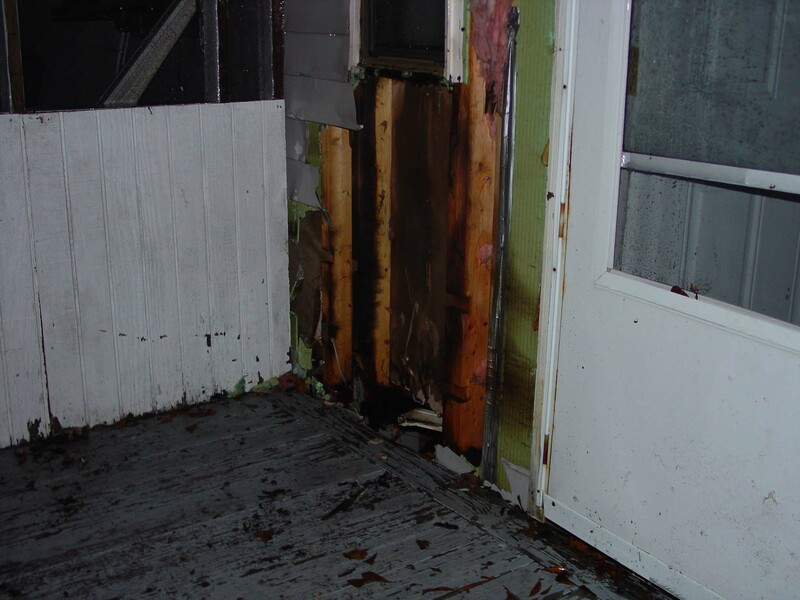 The caller to 9-1-1 reported fire coming through the floor in his bathroom. Click here for additional information. Congratulations to Firefighter/Paramedics Pamela Berry and David Goins for passing their Engineer Promotional Examinations.